New lab to support the utilization of the Laerdal simulation platform. Existing lab space to be transformed from a traditional laboratory space to a three-bay simulation lab. The bays are flexible, designed for critical, maternal, and pediatric care with the ability to adapt one of the bays for adult health. Incorporates hygienic practices to develop standard practice. 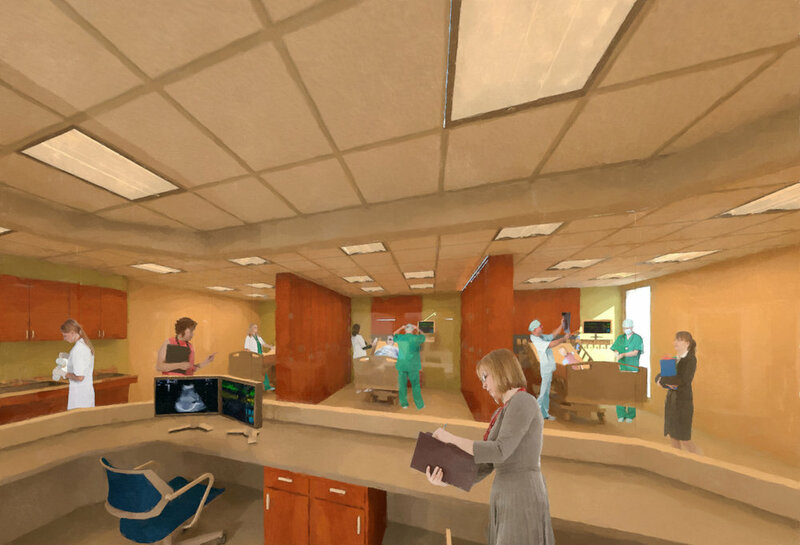 Includes an observation room and briefing room to improve synergy between simulation and learning.